At Infinity University, you will find that our instructors are seasoned professionals in their fields of photography, Photoshop, cinematography, drones (UAV) and all else with visual arts. They provide a wealth of knowledge and insight to help you in the areas you are looking to grow in or learn more about. Whether it is to take better people pictures, provide better customer service, or help you grow your business, you will find a breadth of information and so much more. We also provide classes, seminars and workshop series around the country and will work with you, your company or organization to provide one on one instruction, training or consulting. We can also work with you to design a program specifically for your needs and provide continuing support. 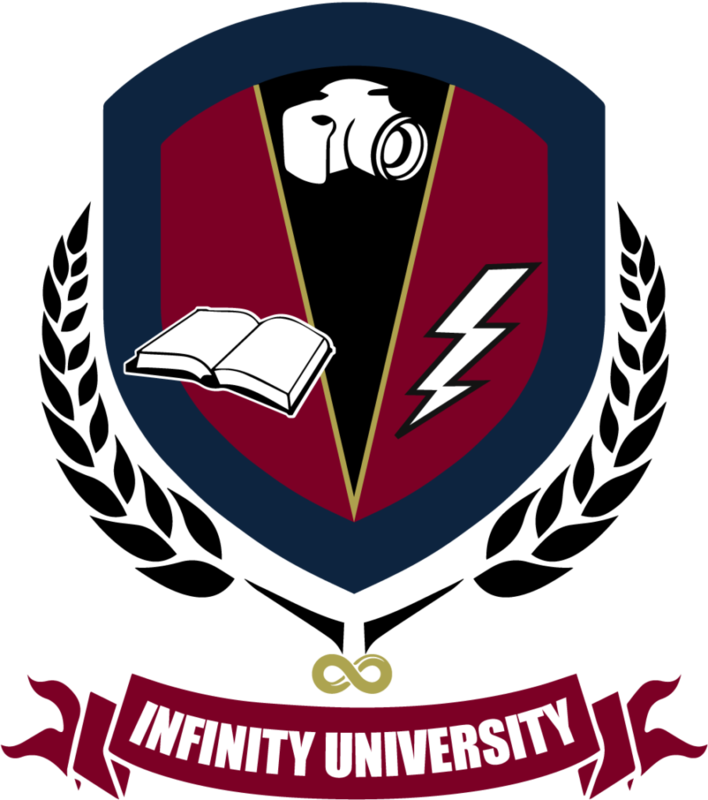 Infinity University provides quality and the most current photographic and multimedia instruction, training and mentoring across a broad spectrum of genres. These genres include beginner, intermediate and advanced photographic instruction for portraiture, wedding photography to include the four styles of photography which is covered in our two-day class, product photography, event photography to include social and commercial applications, commercial and residential real estate photography. Infinity University also provides basic and advanced video and cinematography applications as well as instruction to include pre and post production methods and standards. Infinity University also provides basic and advanced UAV/drone instruction consulting and training for individuals, commercial companies, and government agencies to include police, fire and military which includes preparation for the FAA part 107, advances drone operation and training programs, instructor training programs. We also provide training for Thermography for agricultural applications, pipeline and infrastructure inspection for commercial applications as well as night training for advanced students. Infinity University also provides website training for those wanting to be able to provide back end updates their company’s website. This would include how to make new pages, add images, upload content and much more. We work closely with you and your company to design a training program that fits your needs.